A KCATA Ford transit van, part of the Bridj service, sat in front of Kansas City’s Union Station Wednesday. Bridj, the Boston transportation startup, is branching out to Kansas City and partnering with Ford Motor Co. and the region’s transit authority to offer on-demand bus service. 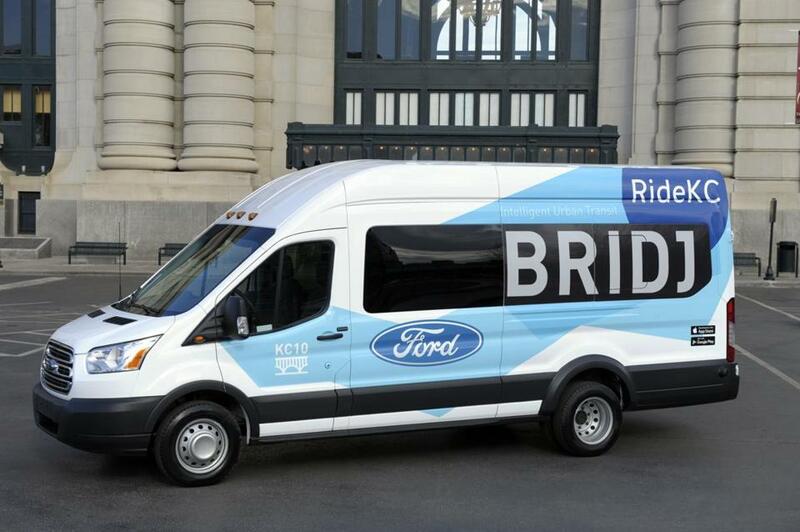 Ride KC: Bridj will launch in early March as a one-year pilot program that will use 14-seat Ford commercial vans to provide a pop-up service similar to how Bridj operates in the Boston area. Instead of having fixed routes, Bridj bus stops are determined by where riders want to go. Customers download the Bridj mobile app on their smartphones, tap in their destination, and the company platform designs routes based on demand. Bridj operates in Boston and Washington, D.C., but what’s unusual about this expansion is that Kansas City will integrate the service into its transit system. The buses, built at a Kansas City Ford plant in Missouri, will be driven by union drivers who work for the Kansas City Area Transportation Authority. Bridj founder and chief executive Matt George said he started the company with the idea of creating a next-generation transportation system but knew he could never do it alone. “From day one, we’ve realized we can’t do that without collaborating and partnering with local, state, and federal governments,” said George. David Block-Schachter, who formerly worked at the bus service Bridj, is back in a post using technology to improve customer service. George said the company is talking to cities around the world to form similar partnerships, and he’s hoping that Kansas City will provide a road map. Closer to home, Bridj has expressed interest in working with the Massachusetts Bay Transportation Authority to provide service on low ridership routes and during late-night hours. Kansas City officials reached out to Bridj late last year, and Bridj brought in Ford as the exclusive vehicle provider because of its work in developing smart transportation systems. The Bridj ride will cost $1.50, the same as a public bus trip in Kansas City. Since Bridj began service in Boston in January 2015, the company has provided hundreds of thousands of rides and is growing rapidly, said George. The average rider uses Bridj 16 to 20 times a month, suggesting that customers are using it as an alternative to public transportation. Each ride ranges in cost from $2 to $6. 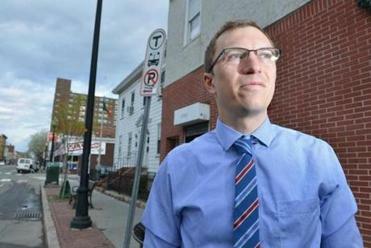 The startup — which recently lost its chief scientist to the MBTA — has about 20 employees. Major investors include NextView Ventures, Accomplice, and a group of early financial backers of Zipcar led by Jill Preotle. Due to a reporting error, the original story misidentified where Bridj is based. It is in Boston.